This once in a lifetime dinner will recently become a reality at the iconic luxurious hotel of “Burj al Arab”. Reportedly the magnificent hotel in Dubai is all set to host a special charity dinner at its famous helipad which is situated at a distance of more than 200 meters above ground level. Starting at a price tag of around $ 2,722 per person, the special dinner will however be limited to the seating capacity of the helipad, which is just a paltry 12 special guests. However it must be noted that this is no ordinary dinner and all its proceeds will be contributing for a very noble cause, the UN sponsored ‘Eat and Feed’ initiative. The aid program has been designed with the singular aim to raise money for the United Nations World Food Program. The project intends to provide food to more than 1, 20,000 underprivileged children every day. 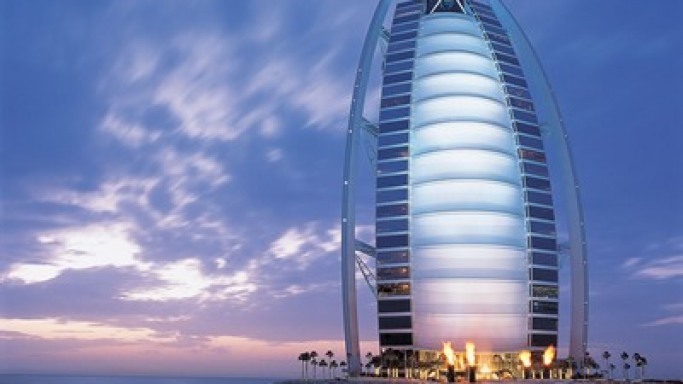 Reports in the media confirm that the high table dinner experience at the Burj al Arab will be taking place on 13thMarch 2014. In a statement provided to the media, the CEO of the Dubai Festivals and Retail Establishment claimed that apart from raising these kinds of charity funds in such a unique manner, this special luxurious High Table dinner also raises awareness about the great quality of the work being done by the United Nations World Food Program. Interestingly this great unique dinner is planned to as the grand finale of the Dubai Food Festival. The luxurious dinner apparently would start with a warm Arabian Welcome followed by an extraordinary reception on the lower helipad deck. The high profile dining experience would also enable its patrons to soak in great views of the Arabic Sea along with some of the most prominent Dubai landmarks of the likes of Dubai Marina and Palm Jumeirah.